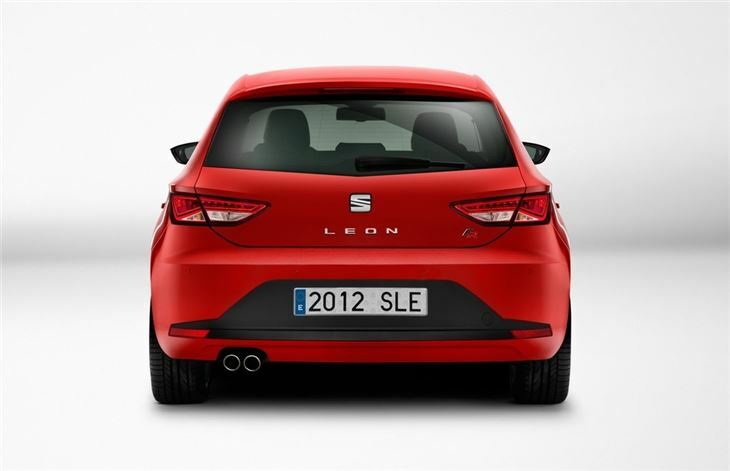 SEAT has unveiled its all new Leon which is due to go on sale here in March 2013. 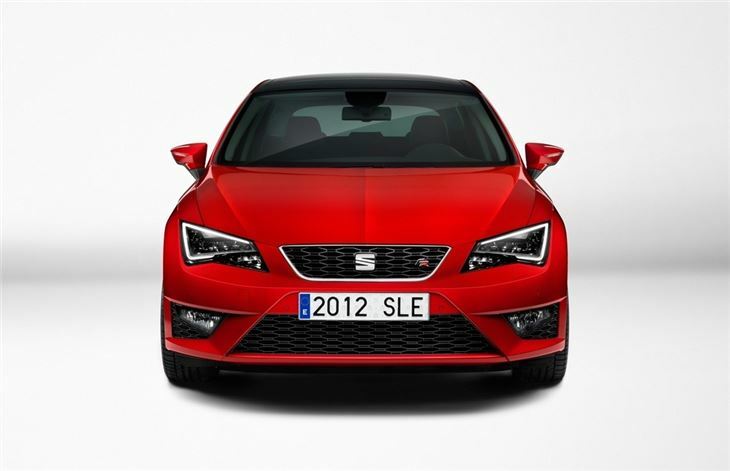 The third generation of SEAT's hatchback uses the same platform as the forthcoming Volkswagen Golf and the new Audi A3 with SEAT promising a cutting edge chassis along with improved quality throughout. In terms of styling, the new model is sharper and more sculpted than the outgoing Leon, echoing the recently facelifted Ibiza at the front. It's available with full LED headlights, a first for the hatchback market, while there are also LED daytime running lights as standard. SEAT is promising big improvements inside, an area which has often been the focus of complaints on current models. The brand says it aims to make the quality, fit, finish and attention to detail as good as you can find in the segment above. It certainly has a simple and unfussy design plus there is a newEasy Connect operating system, which controls the entertainment and communication function via a touch-sensitive screen. The engine line-up includes the now familiar TDI and TSI units all featuring direct injection and turbocharging. The Ecomotive version powered by a 1.6 TDI diesel with 105PS is the cleanest model in the range and thanks to a start/stop system and brake energy regeneration it averages a claimed 74.3mpg with CO2 emissions at 99g/km meaning zero VED. There is a second Ecomotive that uses a 2.0 TDI engine with 150PS and 320Nm of torque yet still manages to return 70.6mpg according to the official figures. There is also a 1.6 TDI with 90PS and the 2.0 TDI with 184PS and 380Nm of torque that is likely to power the FR version. 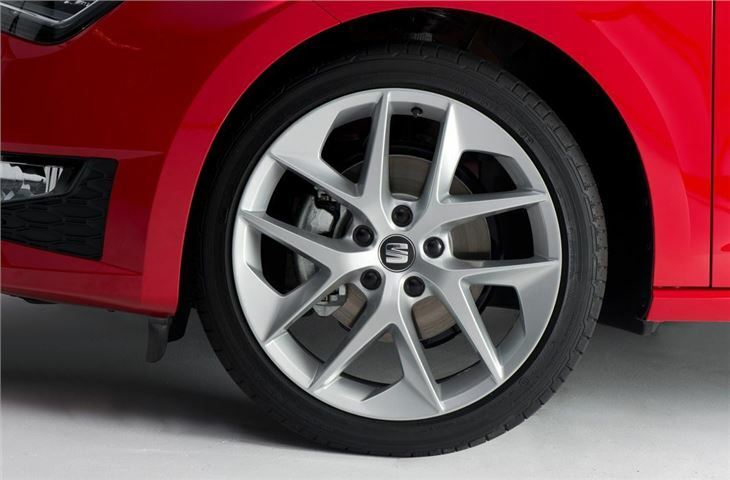 After launch a 1.2 TSI in two versions - 86PS and 105PS - will be launched along with a 1.4 TSI with 122PS. The top petrol is the 1.8 TSI with 180PS which will come with a DSG dual-clutch automatic as standard. 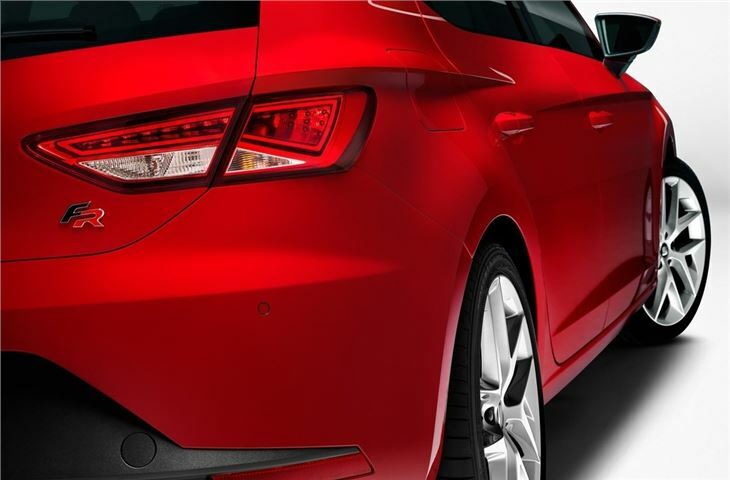 The new Leon is 4.26 metres long, around five centimetres shorter than the outgoing model, but the wheelbase is longer by almost six centimetres. This should be good news for interior space, particularly for rear seat passengers plus there's a larger boot at 380 litres, an increase of 40 litres. 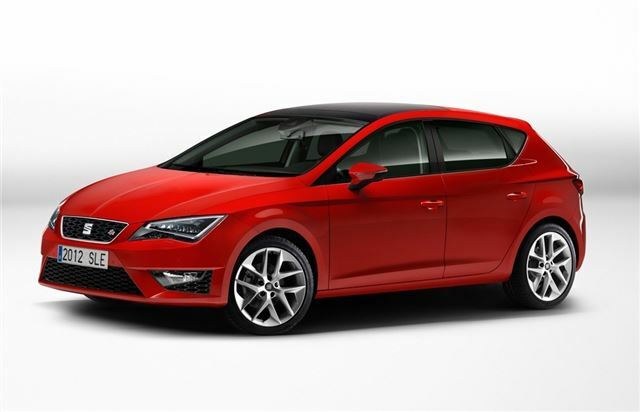 SEAT is also promising sporty handling and good agility with the Leon FR getting a new SEAT Drive Profile which lets you vary the characteristics of the steering, throttle response and the engine sound via a sound actuator in the exhaust. Other new system include a drowsiness detection feature, Full Beam Assistant, which switches automatically between full and dipped beam and the ‘Heading Control’ lane-keeping assistant, which makes slight corrections to the steering to prevent the driver from crossing over lane markings. Another new feature making its debut on the Leon is the new SEAT badge. Apparently it has a 'cleaner and purer design' to reflect the company’s 'engineering and quality leadership'.